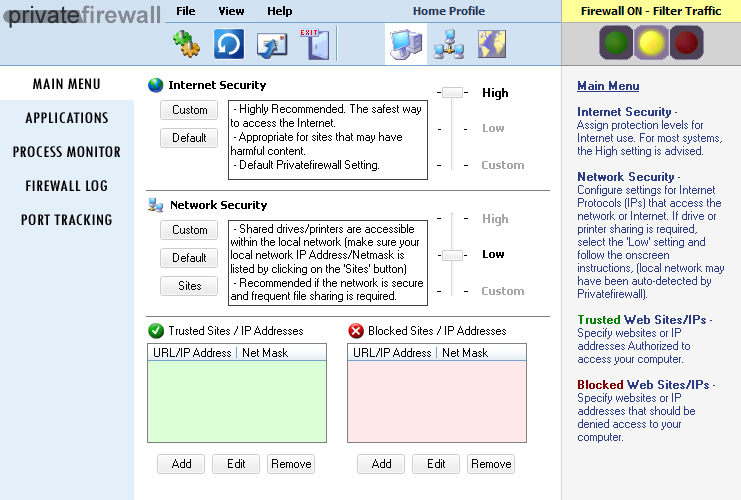 Privatefirewall is a Personal Firewall and Host Intrusion Prevention application designed to help individuals and businesses protect Windows desktops and servers from malware and unauthorized use. 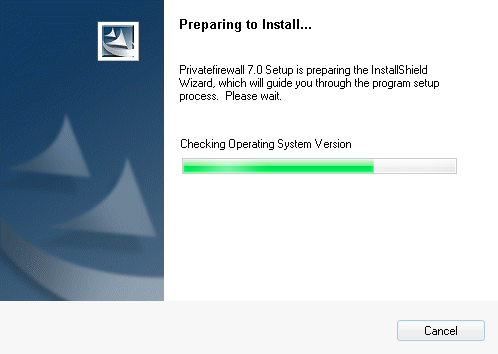 Privatefirewall addresses the operating system and application level vulnerabilities and intrusion techniques that hackers exploit to gain access and cause damage to private systems and data. 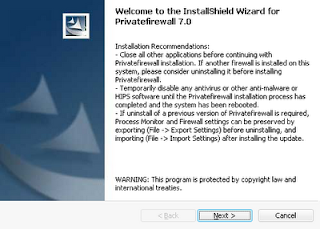 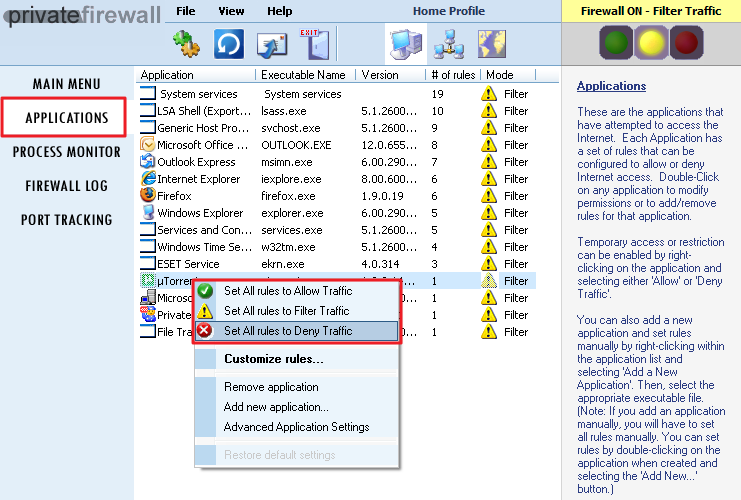 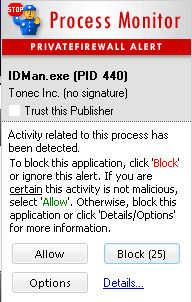 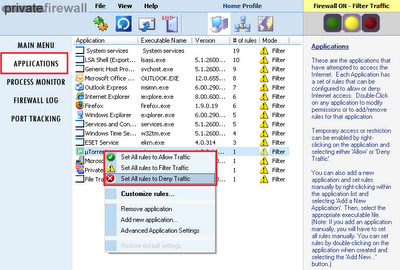 Privatefirewall provides an excellent layer of additional protection to the Windows operating system. Beyond unparalleled personal firewall protection, Privatefirewall leverages proprietary HIPS technologies that model and monitor system and application behavior to identify and block activity characteristic of known malware, hacking, phishing, and other threat types. 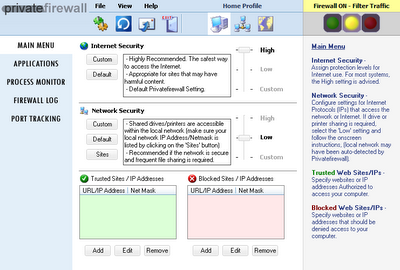 Privatefirewall ranks among the best performing desktop defense applications tested against the industry's most rigorous leak, general bypass, spying and termination tests and is among a short list of free personal firewall and host intrusion prevention software (HIPS) products that fully supports Microsoft's Windows 7 Operating System.